It seemed that last year was the year of the voice assistant. The marketing was everywhere, the discounting was heavy and early adopters were talking about them at every opportunity. Like many households, we received an Alexa for Christmas. These are my observations of note from our first few weeks with her. Until Alexa arrived in our home, in order to listen to music a phone needed to be present. This is no longer the case. It makes little difference in terms of the process of playing music, but when you don’t need your phone on hand to control the music, you slip into using it less as you sit there. I’ve noticed that I use my phone a little less at home. That’s probably a good thing. Losing the phone has also meant the children don’t need our phones to play music. Our kids are quite young and we’d like to filter out some of the stronger swearing in some songs. It turns out neither Alexa nor Spotify let you do this. This raises a question: do we switch to Apple Music, which does have parental filters? At the moment, we’ve decided against the move, instead taking the view that swearing happens everywhere and that it’s our responsibility to monitor our children’s use of Alexa. We might rapidly change our minds though. It’s only been a few weeks. This is not a settled position. How do you choose what music to listen to? I tend to ask for specific albums or artists. Occasionally, I ask for a playlist I know. My son, however, just says “Alexa, play bmx music please.” Music then begins. Is this how people generally choose music? To me, at least, this is a new and interesting option. It goes beyond the compilation to something more random. Another thing I’ve noticed is how fragmented media is. The kids want to hear the songs from Horrible Histories as much as they do pop songs. Alexa has real trouble sourcing songs from the former much to the annoyance of the children. Lots of parents I’ve spoken to have concerns about children demanding things from Alexa and whether that’s a good thing. More by luck than skill, we’ve got our kids saying “please” to Alexa (a mumbled request by me was not heard by Alexa, the kids are now convinced it’s because I didn’t say please, they believe you have to say please for it to work). Is there any point in saying please to a machine that will never say no? Is it just nice manners disguising the development of a habit of making random demands and expecting then to be fulfilled immediately? Am I overthinking it all? I don’t know. Alexa had a volume range of 1 – 10. We rarely need to go above level three. So, really we have a range from 1 – 3. It’s not a decent level of control. I’m not harking back to the infinite control of analogue dials, but give me more than three choices please. A lot of uses for Alexa seem pointless (whale facts, fart noises, knock knock jokes). However, there are some that I think have potential. I’ve discovered that in the US, owners of a WiFi enabled Roomba (a robot vacuum cleaner) can ask Alexa to clean their home and the Roomba duly obliges. This is the type of smart home integration, which goes beyond switching off lights, that is genuinely useful. But it’s mainly useful because a robot vacuum saves a task. Alexa only adds small amount of convenience on top. Routines, where a series of tasks are bundled into a single command could make a real difference. With the right purchases, and a bit of time setting it all up, it’s possible for Alexa to wake you up with a news bulletin and turn on your coffee machine. The bundling of several small tasks into a single command is useful and materially time saving. But it is hard to harvest. Hands are what make it so valuable. The musty smokiness of your stew from another’s sweat. From their hand to your mouth. Unless he has to use his feet. With the launch of Promote Mode, has Twitter built the ad product small businesses need? Twitter has launched a new ad product, called Promote Mode, that’s targeted squarely at small businesses and individuals seeking an easy way to build an audience on the network. For a monthly fee of $99 Promote Mode will automatically promote your tweets and your account. No need to set up ads, just tweet as normal and the algorithm will take care of the rest. Twitter says that those who tweet regularly and subscribe to Promote Mode should gain an additional 30 followers a month and reach an additional 30,000 users on top of their natural reach. Promote Mode also allows some simple targeting by allowing subscribers to choose up to five interests or cities or locations within a country. At the moment, the product is only available in the US and the UK. Roll out is expected soon in Japan too. Early sightings of Promote Mode in the wild have shown the limitations of this approach. 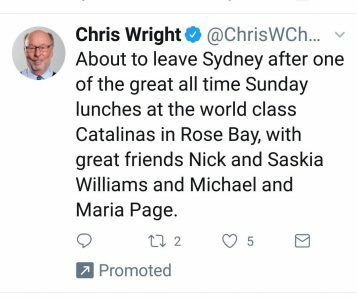 If, like in the example below, you’re not producing lots of tweets that would suit an advert format, some fairly mundane things will be promoted. Despite the potential for odd tweets being promoted, this is a genuinely useful product. It takes out the (perceived) hassle of putting together Twitter ads and fixes a price in advance, thereby addressing two issues all small business owners will recognise: time and cost certainty. For Twitter, it’s also unlikely to cannibalise its core ad business. Those who want tighter targeting or to run bigger campaigns will unlikely show interest in this product. The launch of Promote Mode delivers one additional thing: a public benchmark of price and performance. We all advise clients that reach and follower numbers have severe limitations as performance metrics, but plenty of people are obsessed with them. If Twitter thinks it can deliver you 30 followers and reach 30,000 users for $99, those running paid campaigns need to outperform that price. How will 280 characters change the narrative arc of a tweet? Why won’t Facebook allow us to write the calls to action on buttons? Do your brand guidelines take a view on emojis? When you say you want your brand to be more human, which particular human do you want it to be like? If you want the call to action to say “buy now”, does the link actually take people to checkout or will it disappoint them by landing them a few clicks away?